Do you like goat cheese? 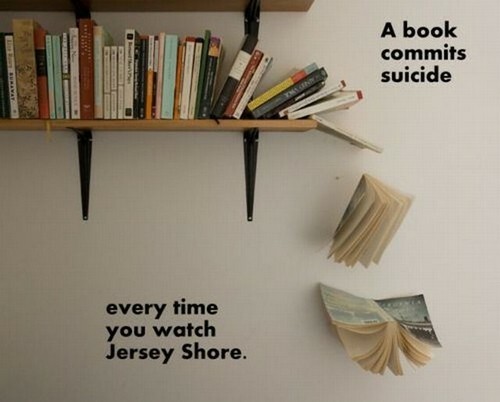 I have found that most either love it or hate it...kind of like Jersey Shore. I hate to admit that I am on the team-love-it for both (I blame MTV's Jersey shore marathon scheduled two days in a row and Pauly D's dreamy accent). Yesterday, because of my recent purchase of goat CREAM cheese, I had goat cheese for every meal. This goat cream cheese is the consistency of cream cheese but leaves the same aftertaste as goat cheese. Aren't you dying to try it after that description? Hehe. Lunch: Salad of champions (with goat cheese , tahini , turkey burger , sriracha, vinegar, and lettuce). Last night Dan had a going away party for a guy at work. I meant to go, but I was just so tired (like beat down) that I opted out. Instead, I had my own party with my blanket, DVR (it counts as a party if you are watching Jersey Shore), and my ipad (still reading Maze Runner).